On Wednesday’s loss to the Oakland A’s, Yasiel Puig roped a fly ball nearly 106 MPH to deep right-center when he was robbed of a two-run homer by Trayce Thompson. Puig seems to be hitting the ball well, but is hitting just .205/.250/.250 on the year. Accompanying that is a .243 BABIP. 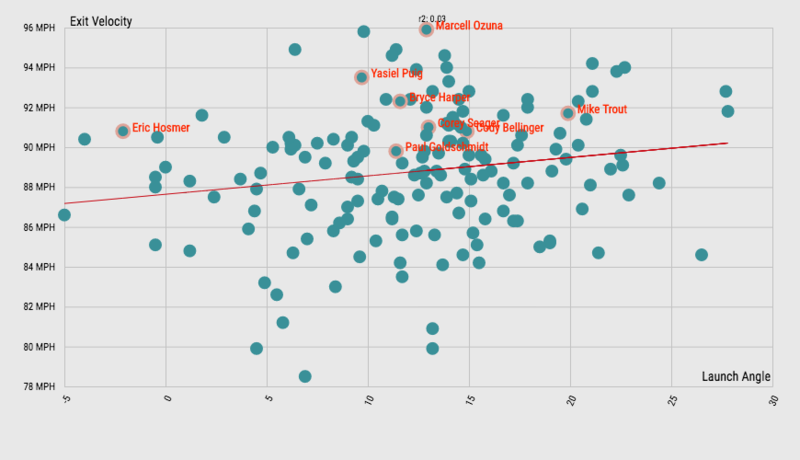 The above chart is from the 2017 season — Puig’s most successful since his rookie year. Puig hit .263/.346/.487 with 28 HR and a 117 wRC+. You can see he hit the ball on average harder than Francisco Lindor, nearly as hard as Mike Trout, and just a tick below Corey Seager and Cody Bellinger. 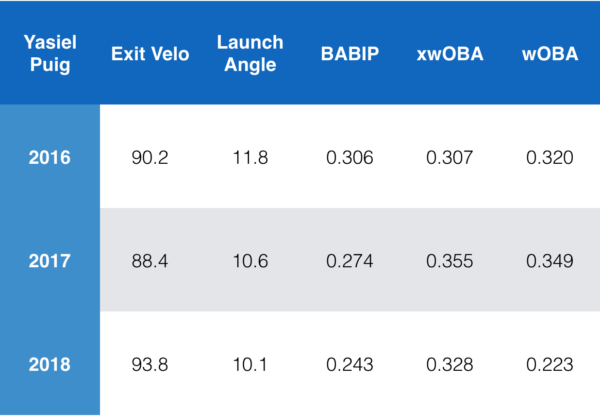 The main difference here is how he rates below all of them in average launch angle. 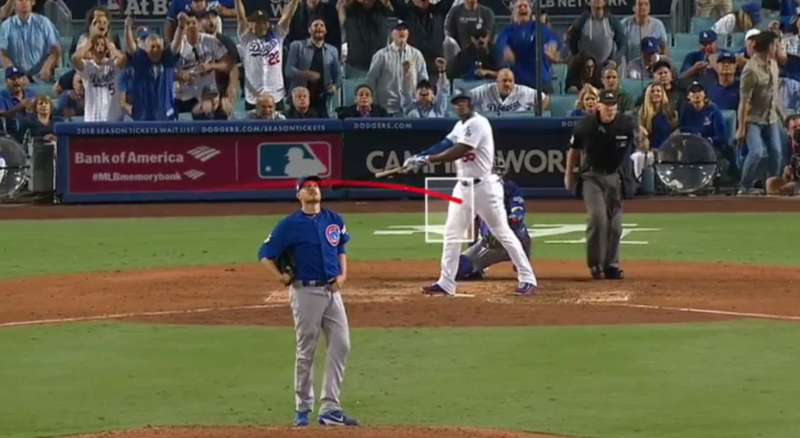 You can see in this 2018 version, that he’s hitting the ball as hard as anyone. 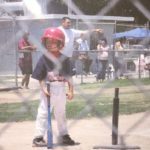 Harder than Trout, harder than the current MLB home run leader and future Dodger Bryce Harper, and harder than anyone else on the Dodgers. He’s still not elevating the ball as much as those guys, but he’s shown it’s possible to have success without selling out for fly balls. Eric Hosmer is simply on both of these to demonstrate why people say he could benefit from hitting the ball in the air more. With a minimum of 25 balls put in play, Puig ranks 10th of 194 batters in average exit velocity (93.8 MPH). He has 11 hard hit outs which is tied for the ninth most in the league. Of 178 batters who’ve hit the ball hard at least 10 times this year (over 95 MPH), Puig is tied for 21st with 18. This is a strong improvement from last year where he ranked 68th of 182 in average exit velocity (88.4 MPH). Hitting the ball hard is great, but if you don’t put the ball in play often, it doesn’t mean as much. Puig so far is making contact on 80.7% of his swings, higher than all of his previous seasons and the league-average of 76.4%. He’s also striking out less, with a rate so far of 16.7% which would be the lowest of his career, and well below his career average of 19.8%. Puig also has a 98.1% zone contact rate, ranking fourth. This means that on pitches thrown in the zone at which he has swung, he’s made contact 98.1% of the time — well above the league-average of 85.1%. Last year, Puig posted a career high zone contact rate of 86.9% and saw his best offensive season since 2013. Trending further in that direction is a great sign, as the best hitters in baseball don’t swing and miss at pitches to drive in the zone. 2016 could’ve been a decent year for him, as he hit the ball hard ranking 57th of 220 batters that year. His launch angle looks good in this chart, but it was inflated by an absurd 22.8% infield fly ball rate which trailed only Kevin Kiermaier. However, between that and him being demoted to AAA for a stint, it simply wasn’t happening for him that year. Puig’s xwOBA hasn’t been great at .328, which ranks 125th of 215 players with at least 30 AB. 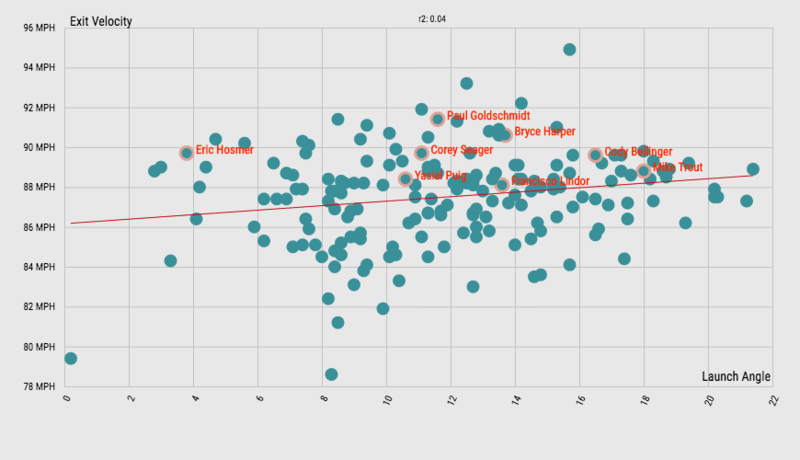 However, his actual wOBA has been even lower. His actual wOBA of .223 puts him 185th of those same 215. If you subtract the actual wOBA from the xwOBA, you can find players who have under and over performed their expected wOBA. Puig’s underperformance of .105 ranks him with the 17th biggest gap in expected performance from actual performance. Just something to keep an eye on, but Corey Seager ranks seventh. Last year Puig posted an xwOBA of .355 and an actual wOBA of .349. The results tend to come around. Puig’s career BABIP is .322, and while that is inflated by a .383 BABIP in his rookie year, it’s still way higher than his current BABIP of .243. I even think it’s reasonable to expect an improvement on his .274 BABIP from last year. Ground balls generate the highest BABIP, while fly balls generate the lowest. Puig has always hit more ground balls than league-average, and last year he hit 48.3% ground balls versus league-average of 44.2%. Puig’s athleticism and speed fit the profile of a guy who would post a higher than average BABIP and yet he was below the league average of .300 last year. There are a few other notable trends early on in his profile to keep an eye on. His ground ball rate so far is at 45.9%, which would be the second lowest rate of his career, well below his career average of 49%, and approaching the league-average rate of 43.2%. In an era where guys are focusing on maximizing launch angle and minimizing groundballs, this is a welcome change. His line drive rate of 18.9% would be the second highest of his career behind only his rookie year. His fly ball rate has remained the same, essentially meaning that in this small sample size, he’s cut his ground ball rate and replaced them with line drives. If that trend continued for the remainder of the season I think we’d see an even better year than Puig had last year. Something that may have an influence on his BABIP is his spray chart. With only 40 balls in play, just remember that it’s April and the sample size is minute. However, Puig is pulling the ball significantly less than usual this year (32.4%) compared to last year (46.5%) and his career average (41.9%). He’s replaced the pulls with 43.2% of his balls in play going to center, up from his career norm of 34%. Again, with such a small sample size it’s difficult to make a strong predictive claim of anything going forward, it’s just something to keep an eye on. So far, Puig is making extremely hard contact. He’s also making contact more often, and striking out less often. He’s not missing pitches in the zone, and he’s hitting more line drives and less ground balls. It’s a long season, and with only 11 games played, Puig and the Dodgers have 93.2% of that season remaining. Things can change fast, and it’s hard not to be optimistic about Puig moving forward.